Just in time for Safer Internet Day, we’re excited to announce our partnership with social networking app Yubo. Founded in 2015, Yubo is a platform for young people to form friendships online. Its mission is to create a safe space for teenagers and young adults to socialise and share content in a safe, responsible way. With over 20 million users, Yubo understands the immense challenge of ensuring that the community remains safe for everyone. They’ve been working to ensure that only individuals who are the correct age can access the app. That’s why Yubo has chosen Yoti and our age estimation technology Yoti Age Scan to help protect young people online. Using artificial intelligence (AI) for good, our technology will estimate the age of individuals and flag accounts where there is suspicion or doubts about a user’s age. Owners of flagged accounts will be able to use the free Yoti app to verify their age and identity. Individuals will also be able to verify their name, so that Yubo can highlight verified users to others increasing trust across the community. Using a form of AI called neural network learning, Yoti Age Scan accurately estimates a person’s age by comparing an individual’s face to many thousands of other age-verified faces. Since adopting the technology in December 2018, Yubo has conducted over five million age checks using Yoti Age Scan, which would not have been practical or cost effective to do manually. Yoti Age Scan can estimate age within 2 seconds and the service can already handle over 1m checks per day. Yoti Age Scan is private and anonymous. There’s no need for individuals to register in advance or provide any documents as evidence of their identity. Yoti Age Scan simply estimates their age, deleting the image immediately after. 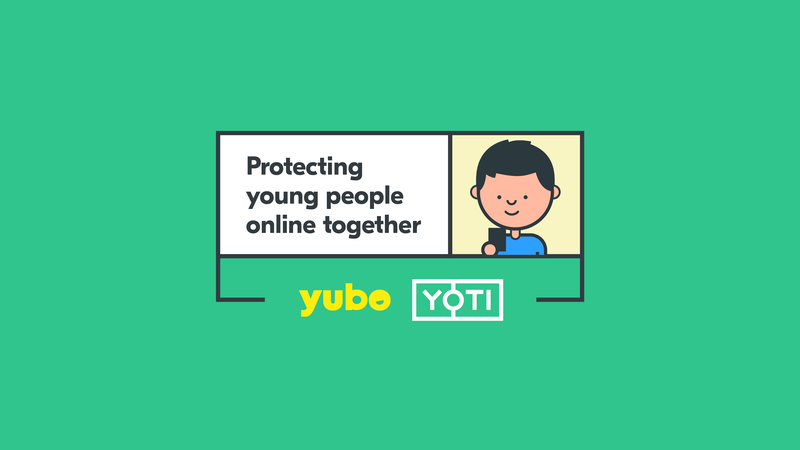 We’re delighted that Yubo has chosen to use Yoti Age Scan to help with this vital step to protect young people online. Yoti Age Scan can estimate someone's age with a high degree of accuracy, and Yoti gives people the chance to verify their age in a private and secure way. 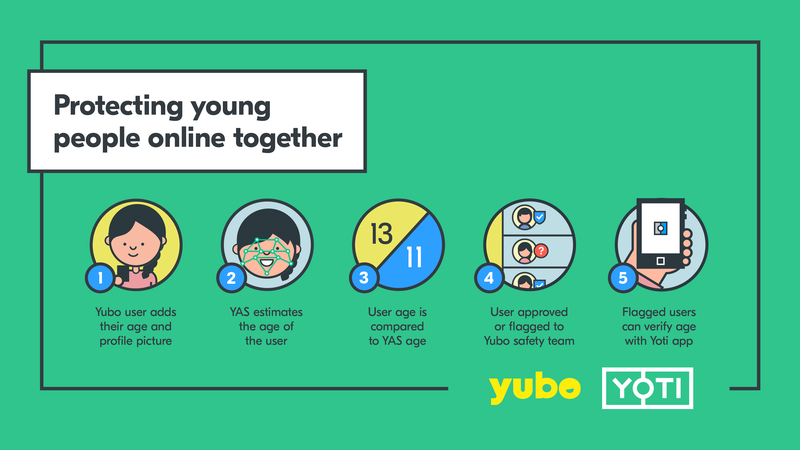 Our work with Yubo shows how Yoti’s technology can help make the internet a safer place for young people. Clearly legislators, regulators and parents are all concerned to ensure children and younger teenagers only see content that is age appropriate, and do not mix online with unknown older adults. AI technology like Yoti Age Scan will help to address some of these requirements. COO of Yubo Marc-Antoine Durand agreed the technology will help further enhance the safety of the platform. “We’ve selected Yoti’s age estimation technology, Yoti Age Scan, to give us a simple, private and secure way to make the app safe for our users; a vital step to help safeguard young people online. Yubo is the first social media site to use Yoti Age Scan to help ensure individuals can only access age-appropriate content. We continue to see more uses for our Yoti Age Scan technology, as a growing number of businesses are adopting it to provide age-restricted goods and services, both online and in person.